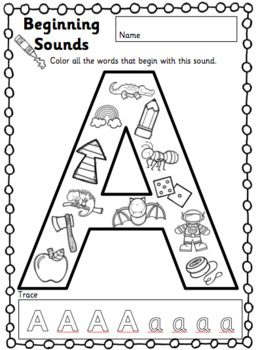 This product is a set of 26 worksheets, with one worksheet for each letter of the alphabet. 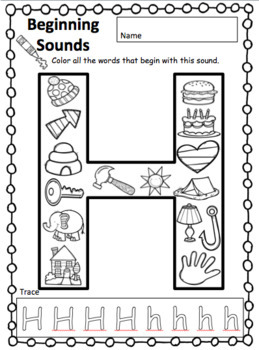 Each letter is represented by a large capital letter which is hollow and has pictures of different words which start with that letter sound plus other words which start with other sounds. Children need to distinguish which pictures start with the given sound and color the pictures in. 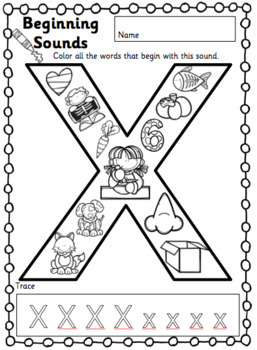 Please note that the letter sound X is represented by 2 different x-ray pictures and 4 words that END in x. 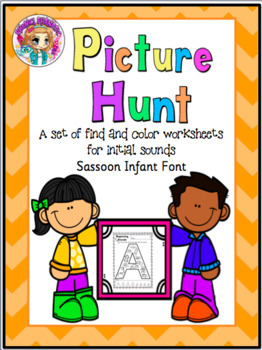 This resource includes both Comic Sans and Sassoon Infant fonts for convenience. This resource is in PDF format.